A recent gift I can’t put down is the book Cool Tools by Kevin Kelly. 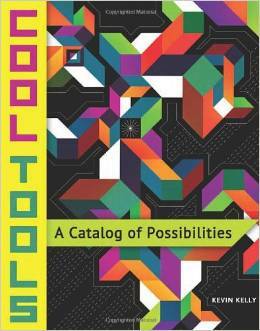 It is a collection of resources that the author describes as “a catalog of possibilities”. It is page after page of tools, products and ideas for do-it-yourselfers who are open to new ways of thinking and how to achieve results otherwise unreachable. Not only does Kelly describe and source a number of tools and products that hexayurt builders will love, he even includes the actual hexayurt among his list of temporary housing resources.